Stay in one of 13 guestrooms featuring flat-screen televisions. Complimentary wireless Internet access keeps you connected, and digital programming is available for your entertainment. Bathrooms have showers and hair dryers. Located in Haddington, Maitlandfield House Hotel is on the riverwalk, a 1-minute drive from St Mary's Church and 8 minutes from National Museum of Flight. 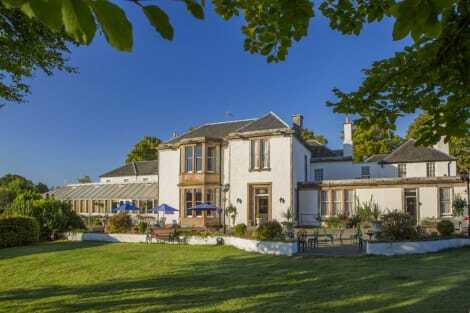 This romantic hotel is 8.6 mi (13.8 km) from Muirfield Golf Course and 11.8 mi (19 km) from Musselburgh Racecourse. Make yourself at home in one of the 6 guestrooms featuring DVD players. Complimentary wireless Internet access is available to keep you connected. Partially open bathrooms with bathtubs or showers feature hair dryers and bathrobes. Conveniences include coffee/tea makers and complimentary bottled water. The busy market town of Haddington in East Lothian lies just five miles from Scotland's east coast and the Firth of Forth, and is around half an hour's drive from the centre of Edinburgh. The region is one of the best in the country for golf, and players from around the world are attracted to its links and inland courses. We have a fantastic range of Haddington hotels listed on the website, all of which are close to the area's most popular golf clubs and visitor attractions. Many visitors to Haddington come to test themselves against East Lothian's golf courses and with a total of 21 clubs in the region to choose between, there's no shortage of variety. Haddington Golf Course is an 18-hole, 130-acre parkland course that lies directly to the east of town. Also nearby is Muirfield Golf Club, home to the Honourable Company of Edinburgh Golfers, which has hosted The Open Championship tournament 16 times. Lovers of history and architecture should visit St Mary's Collegiate Church in the town, which dates back to the 14th century. Also worth visiting is Lennoxlove House, seat of the Duke of Hamilton, which houses a wonderful collection of paintings and items of historical significance including the death mask of Mary, Queen of Scots. Visit the National Museum of Flight at East Fortune Airfield, where you'll find Scotland's Concorde aeroplane, Golf-Bravo Oscar Alpha Alpha. The aircraft was decommissioned in 2003 and now resides in one of the site's hangars. Myreton Motor Museum is about five miles north of the town and is home to a fantastic collection of private and commercial vehicles, bicycles and motoring memorabilia dating back to 1899. 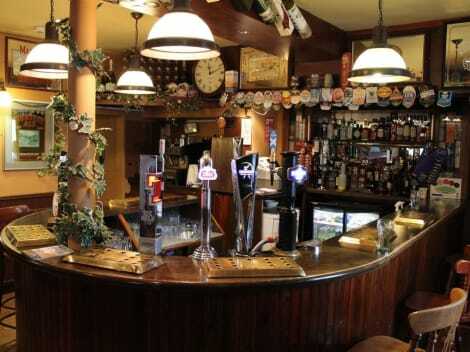 You'll find a great choice of pubs and restaurants in the surrounding area, with something to suit all tastes. The Waterside Bistro sits on the east bank of the River Tyne and offers a varied menu, as does The Avenue Restaurant on Court Street. Townhouse Fish Bar is a great option if you're looking for a meal that's quick and tasty, while The Golf Tavern offers traditional British fare in a warm and friendly pub setting.